The Xcode project is automatically generated when building for the IOS, IPHONE or IPAD targets with the command-line or the plugin. For more details about how to build for iOS, see Building with command line and Building with Eclipse plugin. the project in the output folder will be overridden each time the NeoMAD project is built again for the same target with the same parameters (ie. the generated file and directory have the same name). 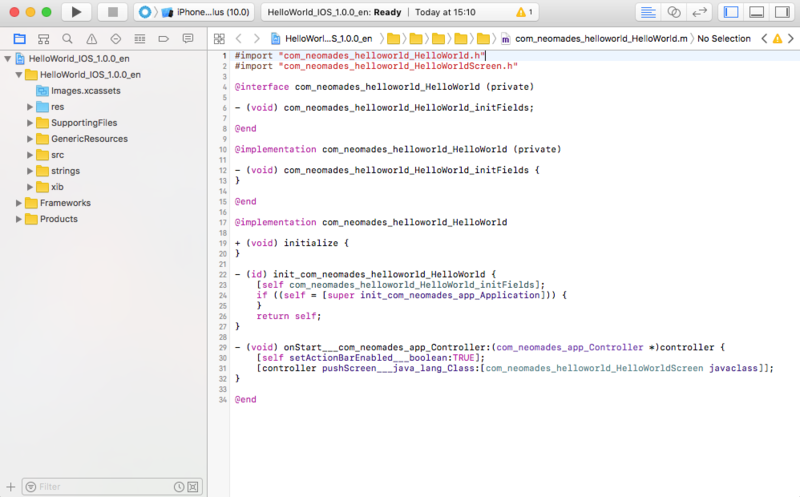 If you want to manually modify the Xcode project, be sure to move it to another folder to keep your modifications. GenericResources directory containing the resources required by the NeoMAD generic API. lib directory containing the NeoMAD libraries.